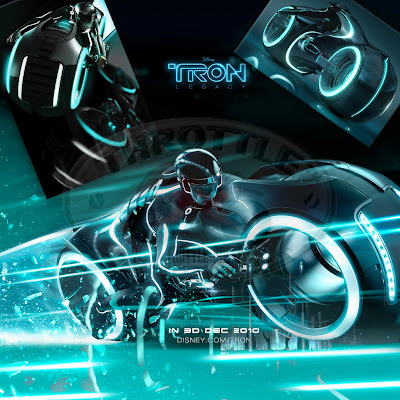 After the Dark Knight's Bat Pod and Terminator Salvation's MotoTerminator, the Light bike from 2010 Disney Tron Legacy is now catching the fantasy of custom bike makers. The lines and geometry of the bike definitely looks coming directly from the design books of the BatPod, but this time, it's not that heavily machine gun loaded. It's sleek smooth and neon. This concept bike fascinated the Parker Brothers so much that they decided to go for it after they created the BatPod. Even though this LightBike is the street legal production version of the bike, this is something you would like to have as a precious collection and not take it out of the roads very often, coz the turning radius this thing demands is quite tough to get in open roads. A total of 10 of these have been made, with each weighing 215 Kg on the owner's parking space and $35,000 on the owner's pocket. So, for all those who can spare the moolah and absolutely love this Sci-Fi, Parker Brothers have something for you.